We’ve listened to government airborne users who told us that their needs fall outside the scope of full time service (too expensive!) but could never be met by traditional metered service providers (not flexible!). 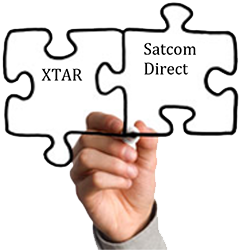 XTAR and Satcom Direct, a leader in providing connectivity for airborne users for years, have forged a partnership to proactively meet this gap. We have introduced a new on-demand and minutes based service for aircraft transmitting at rates up to 12 Mbps. Let’s face it; the government user needs his options but he doesn’t always have funding to commit to a full-time service. Satcom Direct is a perfect partner –who understands both the aeronautical community and the government user. They are enabling us to deliver this flexible minutes-based service. What an outcome for the government user! This service continues XTAR’s focus on responding to the warfighter’s constantly changing demands; in this case, pay-by-the-minute. Non-preemptible. Flexible. Scalable. On-demand. And best of all: Available now.